OCCASIONAL CONSTIPATION RELIEF – Constipation is a serious problem for many people, which occurs due to factors such as not eating enough fibers, not drinking enough fluid, constant stress or frequent traveling. 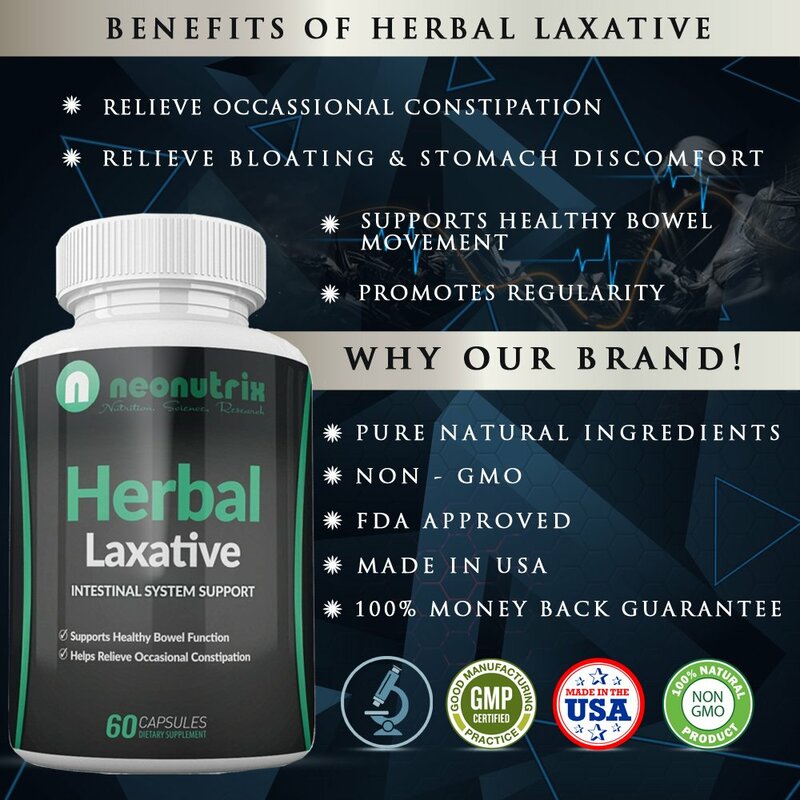 Neonutrix laxatives for constipation are manufactured using all natural ingredients like psyllium husk and aloe vera with all essential fibers for healthy bowel movement. 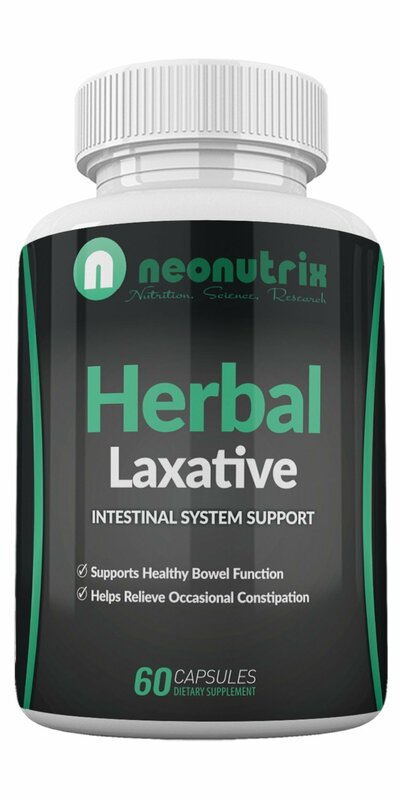 HERBAL LAXATIVE – Neonutrix Herbal Laxative was designed by selecting a combination of all-natural fiber-packed herbs with incredible laxative qualities. Active ingredients such as psyllium husks, cascara sagrada bark, senna leaf, rice powder and aloe vera leaf work in synergy to ease constipation, support bowel movement regularity and provide your body with the required fiber to function efficiently. NATURAL DETOX: The effective cleansing formula eliminates all sorts of toxins and waste from your body so that your intestine and colons are clean. Cleanse, soothe and regulate your digestive system so that it can work smoothly. 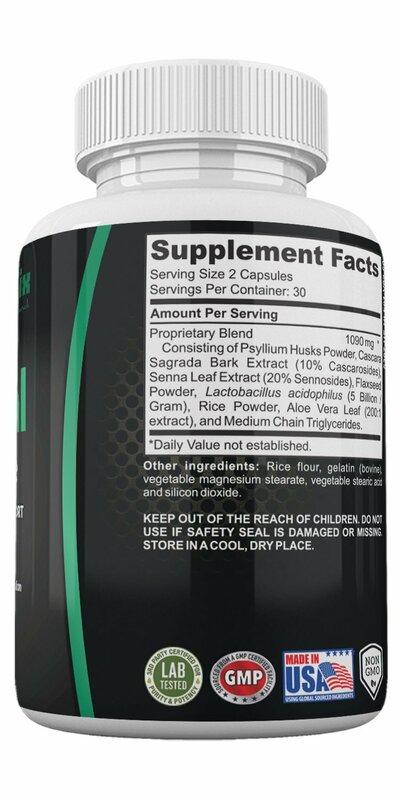 Combat constipation with a breakthrough solution to regulate the digestive system. 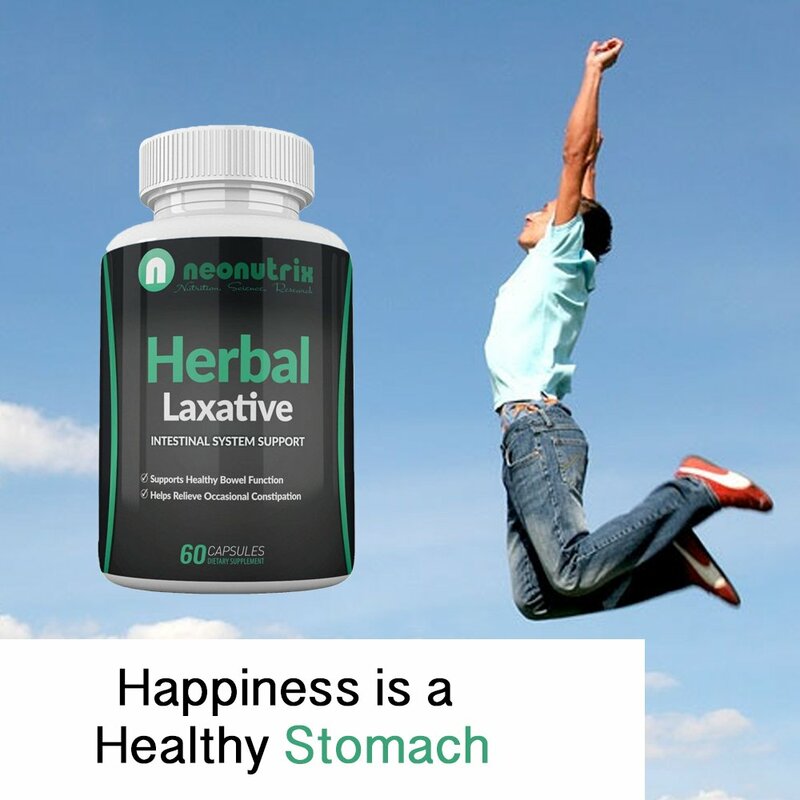 The herbal laxative cleansing formula will smoothen your digestive process and provide relieve from occasional constipation. 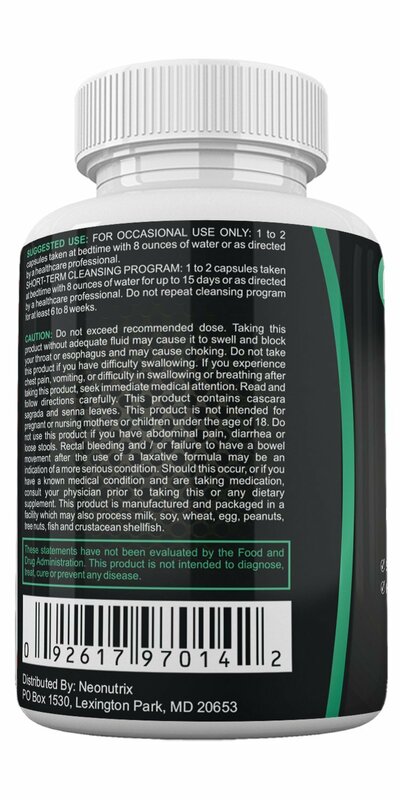 The fiber rich formula makes bowel movement easier which in turn helps relief constipation. Packed with active ingredients like psyllium husks, cascara sagrada bark, senna leaf, rice powder, aloe vera leaf will provide your body with essential nutrients and vitamins while helping improve your overall digestive system health. It supports healthy digestive tract, relieves bloating and stomach discomfort, detoxifies and promotes a regular and natural bowel movement. Plus removal of excess waste and water also assists in weight loss management. When it comes to our customers’ satisfaction, we have one rule: settle for nothing but the best. That’s why we work only with premium quality products and manufacturers that are guaranteed to deliver to our high expectations. We are so confident in our products that we give you a full refund if you are not satisfied with our purchase. No questions asked! ADD TO CART NOW and reap all the benefits these nutritional supplements have to offer!! HIGH-QUALITY FIBER COMPLEX: The natural ingredients such as senna leaf, cascara sagrada bark, aloe vera, flaxseed, rice powder and Psyllium Husk stimulate a healthy digestive tract and make sure your body gets enough fibers for a healthy functioning. 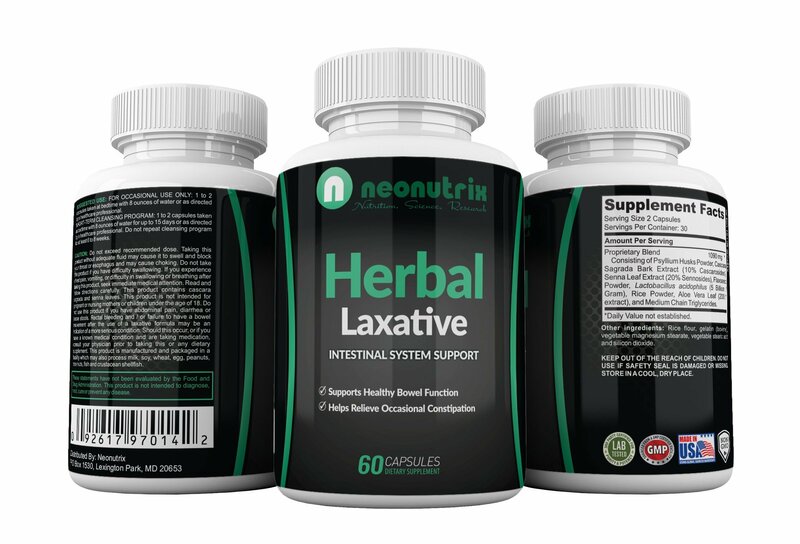 NEONUTRIX 100% GUARANTEED – Neonutrix constipation dietary supplement comes in 60 capsules per container, which are formulated in the USA and have non-GMO and GMP seals, as testimony to their top quality ingredients. If for some reason you are not entirely satisfied with our product, money back no questions asked!